Ten years from now, June 14 will be a date sports bettors from all over the US celebrate as the true beginning of sports betting in the land of opportunity. However, since you’re playing with real money, it’s necessary to learn the basics of NJ sports betting first. That’s where our assistance will prove quite useful. We went the extra mile and gathered everything you need to know in a single place. From the best sites to bet on to legal and bonus details, we’ve got you covered. Read on, and you won’t regret it! This sportsbook doesn't offer a welcome bonus for NJ sports betting at the moment. Assembly Bill 4111 and its signing may not mean a lot to a great number of US citizens, but passionate New Jersey gamblers will certainly remember the day Governor Phil Murphy signed it. Legal battles that went up to the US supreme court lasted for years before New Jersey sports betting became regulated. But how did it all start? It’s been eight long years of questions like “Why is it taking them so long to pass a single law?” and “When will sports betting be legal in NJ?” Now that the laws regulating sports betting are here, we can make a short overview of how it happened. October, 1992 – The PASPA (Professional and Amateur Sports Protection Act) was signed, banning sports betting nationwide, except in Oregon, Delaware, Montana, and Nevada. March, 2009 – State senator Ray Lesniak files a lawsuit to overturn PASPA, and in March 2011, the federal judge rejects the suit. November, 2011 – NJ voters ask, and Lesniak introduces the Sports Wagering Act, making sports betting in NJ legal at casinos and racetracks. January, 2012 – Gov. Christie signs the act. August, 2012 – Major sports organizations sue on claims the act violates PASPA. February, 2013, through June, 2014 – US District Court rules that PASPA is constitutional, NJ appeals, and after the Third Circuit Court of Appeals upholds the lower court’s decision, the US Supreme Court declines to even hear NJ’s appeal. October, 2014 – Lesniak introduces a new act allowing casinos and racetracks to provide sports betting without the state’s involvement. In response, the NCAA, NBA, NFL, NHL, and MLB file another suit, and a federal judge ruled that even the second act violates PASPA. August, 2015 – NJ loses the appeal before the Third Circuit Court of Appeals, and in October 2016, the state appeals to the US Supreme Court. June, 2017 – The US Supreme Court agrees to hear the case. December, 2017 – The US Supreme Court hears oral arguments, and on May 14th, it rules PASPA unconstitutional. June 14, 2018 – The first bets were placed at New Jersey sportsbook locations. This improvised timeline goes to show you that introducing NJ legalized sports betting didn’t happen overnight. In fact, the New Jersey betting scene is still shaping up. The introduced laws were formed scrupulously and are seemingly righteous, but the sports betting culture among US citizens is yet to grow. Consequently, there are many important details and rules you need to know regarding how the games must be played. First and foremost, you should know that anyone over the age of 21 can gamble at sports betting sites in NJ. Still, the law forbids athletes, coaches, referees, and similar groups of people to gamble since it’s thought they could influence the outcome of the games they bet on. One of the most interesting NJ sports betting news was that Tilman Fertitta, the owner of Golden Nugget, decided not to take bets on the NBA because he owns the Houston Rockets. Assembly Bill 4111 gives complete regulation responsibility to the Division of Gaming Enforcement and the New Jersey Racing Commision. As far as sports betting is concerned, the DGE regulates the market, issues operator licenses, and has complete control of the sports betting market in New Jersey. With that in mind, wagering is permitted on all professional sports and the majority of college events outside NJ. As far as taxes go, they range from 8.5% for in-person wagering to 13% for online gambling. There are additional fees as well, including the 1.25% split by host communities and counties. However, that money will be used for Atlantic City marketing. Finally, the tax rate for online racetrack betting is 14.25%. In comparison, Nevada imposes a 6.75% tax by the GGR and the West Virginia sports betting tax rate is 10%, while Pennsylvania enacted a 34% effective tax rate. According to CNBC news, NJ sports betting laws require casinos to withhold federal taxes for all winnings above $5,000 or in situations where your winnings are 300 times the original bet. Still, this is a gray area, because the casino isn’t always aware of how much money you earn. Plus, the new tax law allows you to deduct your losses up to the amount of gambling income. This part usually only happens in theory because most bettors don’t get to the point where this information matters, but we had to mention it nevertheless. Since the bill was signed just recently, most operators function as brick-and-mortar bookmakers. Still, as of August 6, the opportunity to engage in NJ sports betting online has been born, thanks to DraftKings. However, let’s focus on the brick-and-mortar bookmakers first. After the bill was signed, the first bet was made on June 14, by the signee himself. Namely, Gov. Murphy bet $20 that the New Jersey Devils will win the Stanley Cup next year, and lost another $20, since Germany failed to win the 2018 World Cup. Without further ado, let’s learn more about the pioneers of sports betting in NJ. 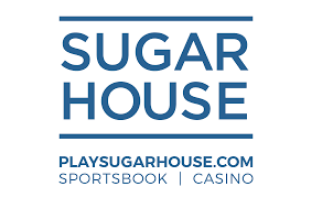 Just an hour after the first NJ sports bet ever, the Borgata Hotel Casino & Spa opened their temporary sports betting site inside their racebook facilities and started taking bets. Their sports betting partner is IGT, and they plan on launching both a site and a sports betting app. Launched on the same date as Borgata, this casino’s sports betting partner is one of the most famous sports betting sites in the world—William Hill. They plan on building a bigger sports betting lounge for up to five thousand gamblers, but when they’ll make online and mobile betting available to their users is unknown. Partnered with William Hill, this casino opened their NJ sports betting location on June 28. They’re building a vast sportsbook site at the moment, but you can bet on a variety of sports in a temporary site located inside the casino. As far as online and app betting go, Ocean Resorts Casino signed a deal with both GAN software provider and SBTech, meaning its sports betting app and site are expected to be live soon. Meadowlands is one of the first casinos to have a sports betting offer since it launched its sports betting operations on June 14. In fact, FanDuel operates sportsbook at Meadowlands so you can expect both a perfectly organized app and a flawless online sports betting site. Until then, you can exploit their partnership at the Meadowlands Racetrack in East Rutherford. 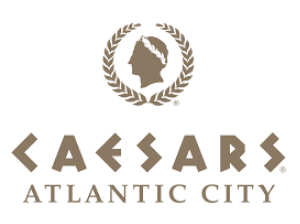 Late in July and early in August, Caesars’s sports betting NJ odyssey began through a partnership with Scientific Games. Namely, Bally’s started taking in bets at their temporary location on July 30. Harrah’s Resort followed the same pattern two days after. Permanent facilities are expected to be built within the next nine months. Finally, it’s expected that Caesars will launch both a sports betting site and app as soon as they get permission from the DGE. Mid-August is a great time to offer some innovations, and the Golden Nugget knows it. As of August 15, the NJ sports betting scene grew bigger when all Golden Nugget players could start placing bets at a temporary sportsbook location. However, the action will soon be transferred to a permanent location. To top that, the owners of the Golden Nugget casino have announced an online gambling site as well. August 15 was a good day to start doing business since, only half an hour after the Golden Nugget, Resorts Casino opened its brick-and-mortar location for sportsbook gambling. The location is also temporary until a permanent site is built. Although Resorts has a NJ sports online betting platform through DraftKings, they plan on opening two more. 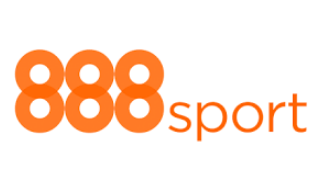 They’ve announced that Resorts will have their official online sports betting site and app by the end of September. And they’ve also notified the public that their third and final website and app for online betting will be live in the very near future. 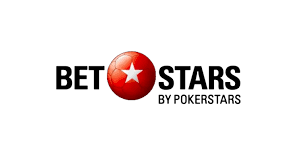 The last website will the icing on the cake when it comes to their cooperation with PokerStars. Even though sports betting is a new craze in New Jersey, many casinos have already launched, announced launching, or merged with famous betting operators to launch sports gambling websites. Online betting sure sounds exciting, just as it is! However, many of the casinos also announced app launches that would make betting even more convenient. Since it’s the only sports betting operator that has their site and app live, DraftKings currently is the only star on the online sports betting NJ sky. Still, that situation will change soon enough. Here’s a short overview of all the data you need to know regarding New Jersey sports betting sites. Is sports betting legal in NJ? As of June 14, 2018, according to Assembly Bill 4111, sports betting is legal in NJ. Are there any betting limits? The first and most important limit is that no one under the age of 21 can place a bet. Also, the collegiate restriction is enacted for Rutgers and Seton Hall. In addition, you won’t be able to gamble on games happening in Jersey or involving a NJ team. Finally, owners, players, and other key members of the NBA, NHL, NFL, etc. are prohibited from betting on their respective league. As we already mentioned, Golden Nugget sportsbook won’t take wagers on NBA matches since the owner of the Houston Rockets is the owner of this casino as well. What’s the latest NJ Sports betting update? The most recent change on the sports betting market in New Jersey happened on August 6th. Namely, DraftKings is the first online website. They’ve also released an app on the same date. Which sports can you bet on? This will depend on the location of the sportsbook where you’re betting. Most sportsbook parlors will offer the most popular sports—baseball, basketball, hockey, football, soccer, and golf. You can bet on college matches as well, unless you want to wager on a game that includes teams from New Jersey or the game is played in New Jersey. Do I have to disclose my personal information? NJ sports betting operators are required to take personally identifiable information from you only if you bet more than $10,000. Both the casino and NJ need to make sure such big bets aren’t fraudulent. Which states have legalized sports betting? Nevada, Delaware, Mississippi, and now New Jersey allow sports betting. Moreover, Connecticut, Iowa, New York, Pennsylvania, and West Virginia are “almost there,” since they’ve all enacted state laws to prepare the grounds for legalizing sports betting. The rest of the states are still not that close to legalizing it. Are sports betting operators regulated and licensed? The Division of Gaming Enforcement regulates all NJ sports betting operators, and opening a sportsbook without a license could lead you to a fine of up to $25,000. If a company or partnership tries to do it, it could result in a fine of up to $100,000.